7 Bedroom House To Rent in Wembley for £4,500 per Calendar Month. Arranged over two floors the property has bright and airy hallways with three bedrooms all en suite on the ground floor. The kitchen living room area is open plan with bi fold doors to decking area and rear garden. The remainder of the ground floor is occupied with a study room, cloakroom and utility room. The first floor has three further bedrooms with master bedroom benefiting from an en suite bathroom. 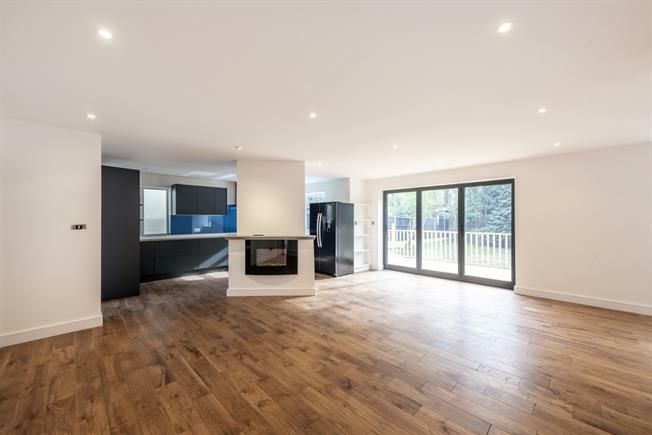 The finish throughout is of the highest standard, wood flooring to all living spaces and bedrooms, wall to ceiling tiling in all en suites and neutral décor. The property is offered unfurnished and is available now. The property benefits from being moments away from the amenities and transport links of Wembley as well as several schools.